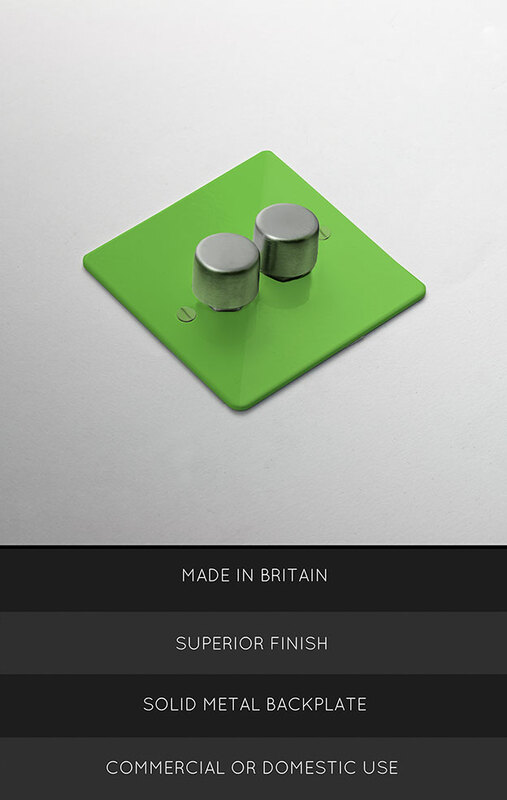 These Lime Green Dimmer Switches are finished in British Standard colour BS 12 E 53 - Linden Green. Made in Britain to the highest quality standards, these 2-gang dimmer switches have solid metal backplates with a superior gloss paint finish. • Brand new product on special offer. • Rockers & Toggles in 1,2,3 & 4 gangs also available to special order.